The top Democrat in the House of Representatives steered more than a billion dollars in subsidies to a light rail project that benefitted a company run by a high-dollar Democratic donor and in which her husband is a major investor. In Salesforce’s case, Pelosi’s work appears to have financially benefitted not just a Democratic mega-donor, but also a company in which Pelosi’s direct family owns a large stake as well as valuable real estate holdings in her husband’s portfolio. The exact dollar figure of its sale to the Warriors was not released. "We paid a very pretty penny," the team’s co-owner said. Pelosi first invested in the company in 2000, when he purchased between $15,000 and $50,000 in stock. 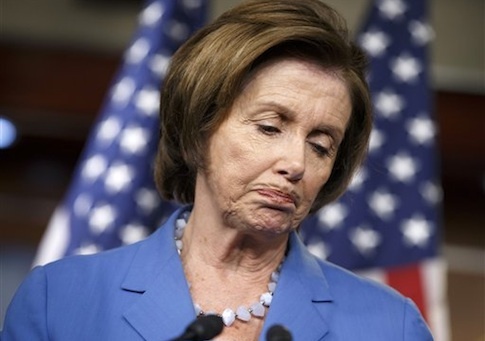 According to financial news service Motley Fool, "Pelosi seems to have acquired shares in a private offering" prior to the company’s 2004 initial public offering. The Democratic leader’s investments in companies with business before the House came under intense scrutiny in 2011 and 2012 when Congress debated measures governing "insider trading" by members of Congress. An eventual law imposing stricter regulations on members’ financial activities even included language informally dubbed the "Pelosi provision" due to her and her husband’s participation in IPOs of companies actively lobbying for or against federal legislation. Much of the information and Pelosi’s and other members’ "insider trading" came to light in Hoover Institution fellow Peter Schweizer’s book Throw Them All Out, which investigated cronyism and self-serving financial deals by members of Congress. "The National Association of Realtors says that high-quality mass transit (like [the Third Street light rail]) can increase property values by ‘over 150 percent,’" Schweizer noted. "There’s a sweet spot for obtaining the maximum transit premium: two to four blocks away is ideal." In addition to the potential financial benefits of that "transit premium" for investors such as Pelosi, the light rail extension worked to the advantage of Salesforce itself. The company, which would not say whether it realized a gain on its sale to the Warriors, is helmed by a high-dollar Democratic donor. Among the most recent recipients of Benioff contrubtions is Pelosi, to whom the Salesforce CEO maxed out with two $2,500 contributions on Jan. 31 of last year. He gave another $5,000 to Pelosi’s leadership PAC and $15,000 to the Democratic Congressional Campaign Committee the same day. This entry was posted in Politics and tagged Cronyism, Democratic Donors, Nancy Pelosi, Tom Steyer. Bookmark the permalink.